Taste of Atlanta has been a staple in Atlanta for food connoisseurs for the last 12 years. It’s the premier food, wine, beer, & cocktail festival that showcases the diversity of Atlanta’s food scene and attracts people from around Atlanta and the rest of the Southeast region. 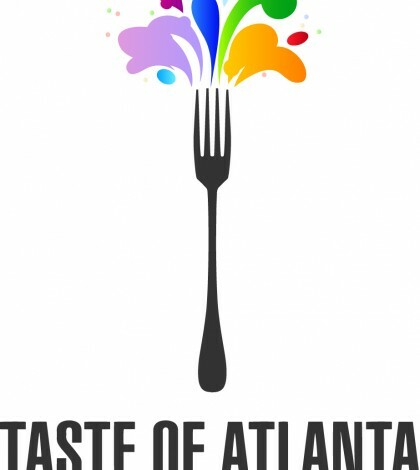 From October 25th, 26th, 27th the Georgia Tech square in Midtown Atlanta will be filled with Taste of Atlanta patrons. If you’re a lover of food, wine, beers & cocktails this is the place to be and an event that you CAN NOT miss. They’re expecting over 40,000 people throughout the weekend. Need more information about this event? 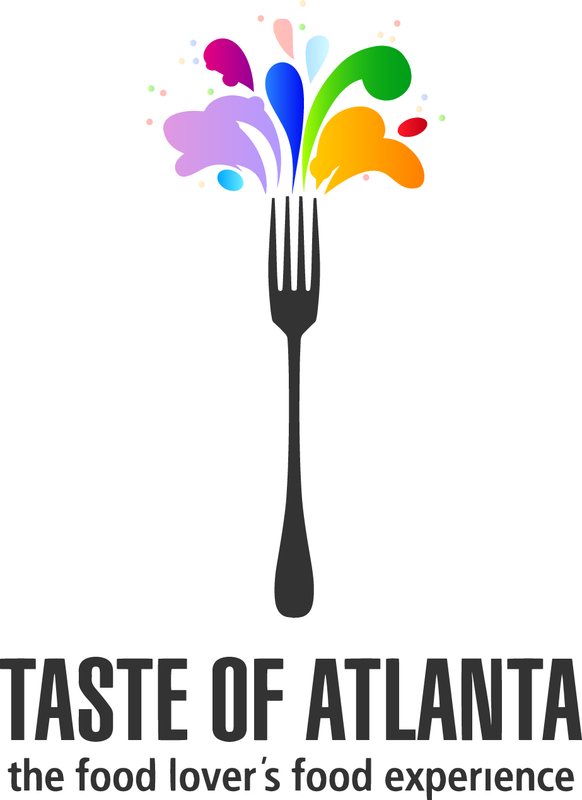 Please check out Taste of Atlanta’s website, you can purchase tickets here also. Here at GAFollowers we’ve teamed up with Taste of Atlanta and if you use the promo code, “TASTE”, you’ll receive $5 off any tickets that you purchase. There are several parking decks and surface parking lots within easy walk which will be offering event parking. From Northwest AtlantaTake Interstate 75 south to the 10th/14th Street exit (Exit 250). Turn left on 10th Street and then turn right on Spring Street. Parking available at Spring St./8th St. lot and in the Centergy parking deck. *If you are coming from North Atlanta, Take Georgia 400 south to Interstate 85/75. From Northeast AtlantaTake Interstate 85/75 south to the 10th/14th Street exit (Exit 250). Turn left on 10th Street and then turn right on Spring Street. Parking available at Spring St./8th St. lot and in the Centergy parking deck. *If you are coming from North Atlanta, Take Georgia 400 south to Interstate 85/75. From the South AtlantaTake Interstate 85/75 north to the 10th/14th Street/GA Tech exit (Exit 250). Turn right on 10th Street and then turn right on Spring Street. Parking available at Spring St./8th St. lot and in the Centergy parking deck. From East or West of AtlantaTake Interstate 20 to Interstate 85/75 north to the10th/14th Street/GA Tech exit (Exit 250). Turn right on 10th Street and then turn right on Spring Street. 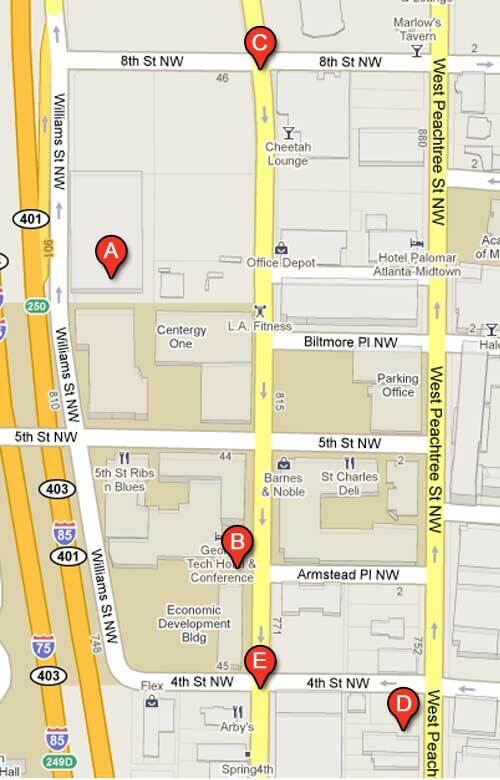 Parking available at Spring St./8th St. lot and in the Centergy parking deck.